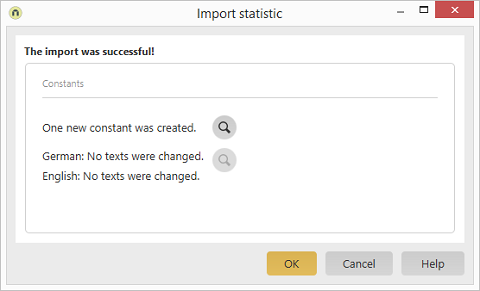 This dialog is shown if the content of the import file differs from the current state of the language constants, i.e. if it contains a custom constant that does not exist in the portal yet. Opens a dialog where the details of the import procedure are shown.